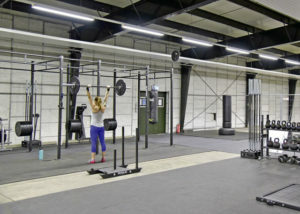 A sample of the variety of equipment at Rhine Ordnance Barracks Functional Fitness Area. The facility contains a variety of equipment, to include rigs, barbells, rowing machines, air bikes, medicine balls, kettlebells, glute ham developers, a rope, rings and more. The Functional Fitness Area on Rhine Ordnance Barracks reopened Jan. 10 for all Department of Defense ID cardholders following a move of the equipment from Bldg. 237 to the new location in Bldg. 229. The U.S. Army Garrison Rheinland-Pfalz Family and Morale, Welfare and Recreation facility is manned from 5 to 8 a.m., Monday through Friday, but DoD ID cardholders may check out a key from the ROB Fitness Center, Bldg. 172, to use the facility between 8 a.m. and 8 p.m. weekdays and 10 a.m. to 3:30 p.m., Saturday and Sunday. 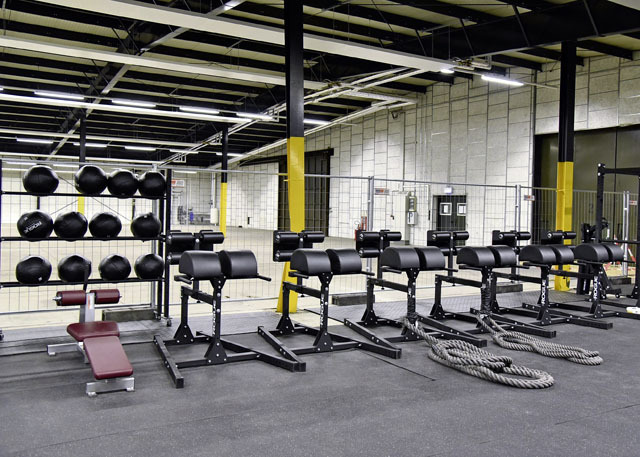 The facility contains a variety of equipment, to include rigs, barbells, rowing machines, air bikes, medicine balls, kettlebells, glute ham developers, a rope, rings and more. Functional fitness is built upon the foundation of training muscles through the use of functional movements, or movements that mimic everyday, real-world tasks. The overall goal of training and strengthening the different muscle groups of the body is to achieve a level of physical fitness allowing for an easier, more active lifestyle with reduced risk of injury. The new area on ROB allows Soldiers to train and perform functional fitness movements, helping build explosive strength to meet new Army Combat Fitness Test standards.